Let’s be honest—everyone has faced the reluctance to work at least once in his or her life. While it may not hurt at some jobs, at others you definitely would not be an avoider even for a short time. Freelance academic writing jobs are cases in point. These particular titles have such requisite skills as self-organizational abilities, self-consciousness, and high competency. Not everyone, however, is properly ready to execute academic writing jobs’ duties when it comes to freelancing. Furthermore, many job seekers expect to have advantageous freedoms and do not put under suspicion the fact they are not actually ready to bear the responsibilities. If you happen to experience this type of problem and do not know how to handle a persistent desire to do something easier, there is nothing to be afraid of. It does not necessarily mean you need to quit online academic writing jobs, but most likely it means you still need to work on yourself. Caution! Neither we guarantee you will stop procrastinating, nor that you will become a hard-working individual. Taking these tips seriously, though, you might come to unexpected findings. 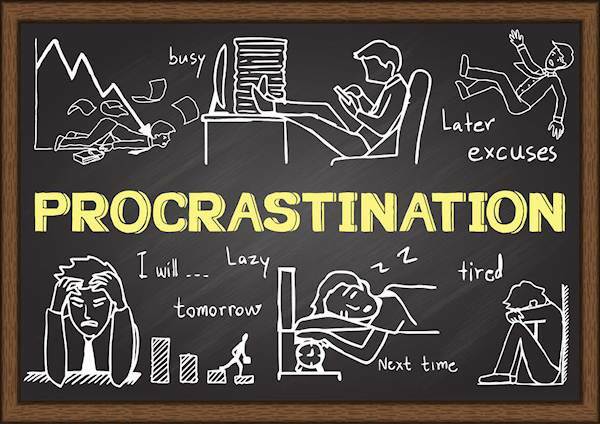 There is an abundance of articles on the Web devoted to the roots, symptoms, and most efficient methods of dealing with procrastination. Flipping through them, one can’t help denying its limited relevance to genuine psychological grounds. In the long run, most of the causes appear to be either obvious (social media, emails, side talks, lack of motivation, etc. ), or ambiguous (for instance, anxiety, perfectionism). Replacing the latter with more liberal attitudes as “allow yourself to be imperfect” can eventually incur a temporary change along with the habit to cut corners. Academic writing jobs online imply maintaining high standards of professional services, so such behaviour is likely to compromise quality, deadlines, and your rating, respectively. What to do then? The most efficient solution is to identify the root of the evil. Consequently, we have gathered appealing psychological suggestions related to the nature of procrastination that probably have never crossed your mind before. What am I aiming for by putting this off? You are to record the first answers that cross your mind. Usually, they are the most true. Besides, reaching sensory awareness is the most efficient way to take a look at your situation from multiple perspectives at once, escaping from emotional noise.